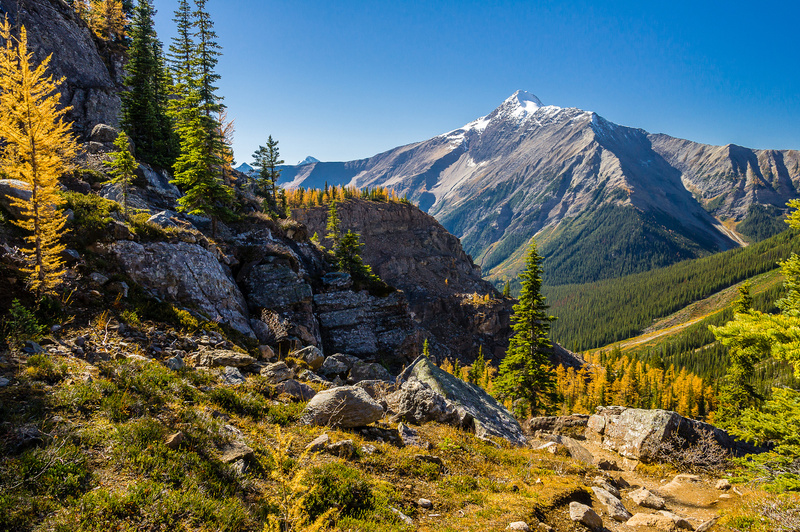 Difficulty Notes: No major difficulties other than catching a bus or walking up the approach road 11km… Fall is the best time to hike this one. I didn’t have too many plans for the 2 full days I was spending in the area, but being a peakbagger at heart meant a couple of quick Google searches to scope out any scrambling opportunities in the area. 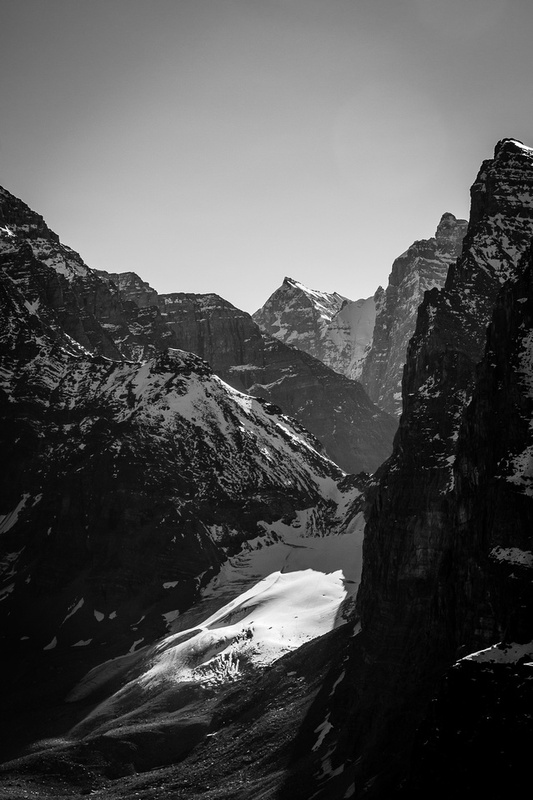 I found 3 potential scrambles; Little ‘O’ (Odaray), Mount Schaffer and Wiwaxy Peaks – East Tower. Based on proximity to the ACC hut, I chose Mount Schaffer as my first objective. 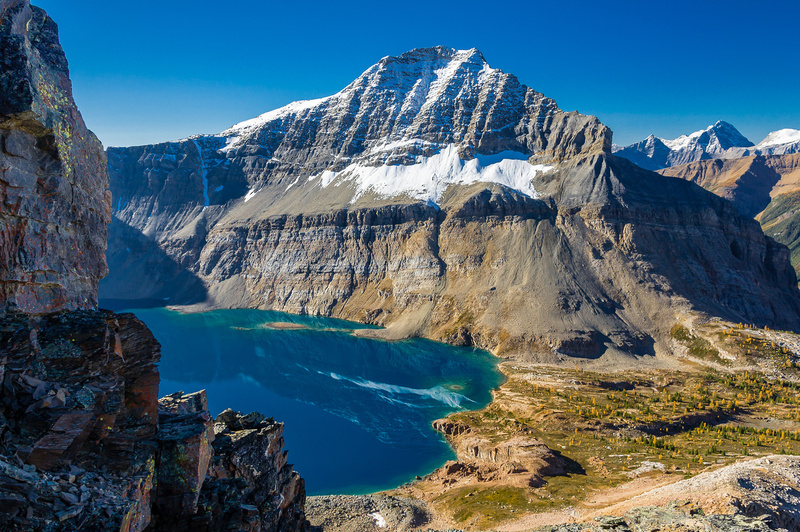 The plan was to dump off my gear at the hut, scramble Schaffer, check out Lake McArthur and then do a high-line traverse up All Soul’s Prospect, down to Opabin Plateau and then hike back to the hut for the night. I knew that there were two routes up Schaffer but that’s about it. One route is the North Ridge route. 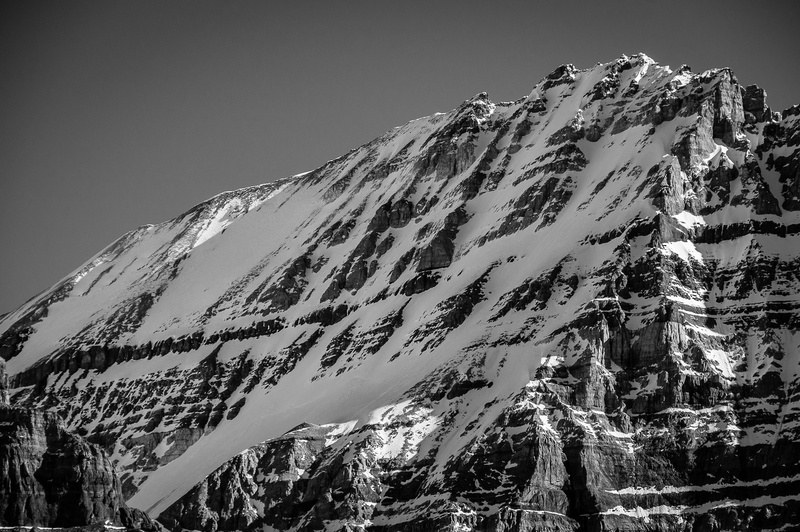 It’s rated alpine II and 5.4 but varying reports didn’t consider it much more than a climber’s scramble. Another route was the ‘easy west slopes’ from Lake McArthur. Since I was solo I decided to try the easy scrambling route. Hiking past Schaffer Lake in morning shadow. Hiking up the trail past Schaffer Lake towards McArthur Pass in morning shadow. 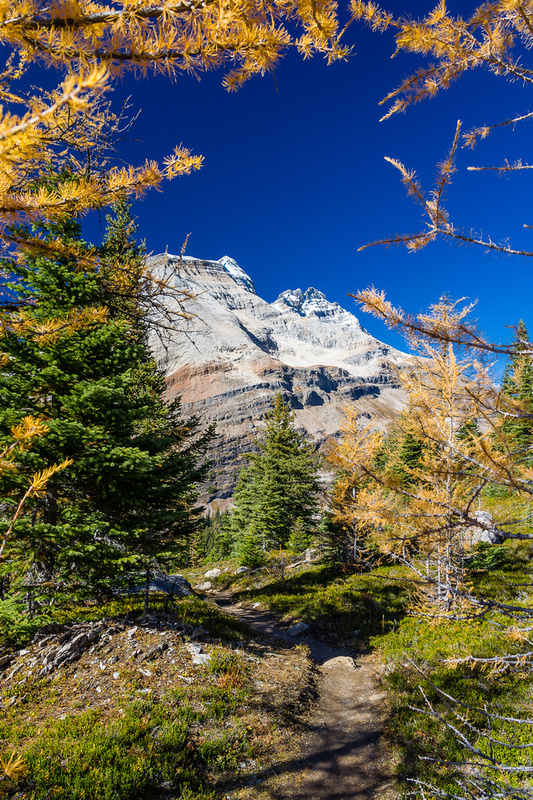 After dumping my gear (and some of Bob Barlow‘s gear too) at the hut, I resumed hiking on the excellent trail to Schaffer Lake and Lake McArthur. 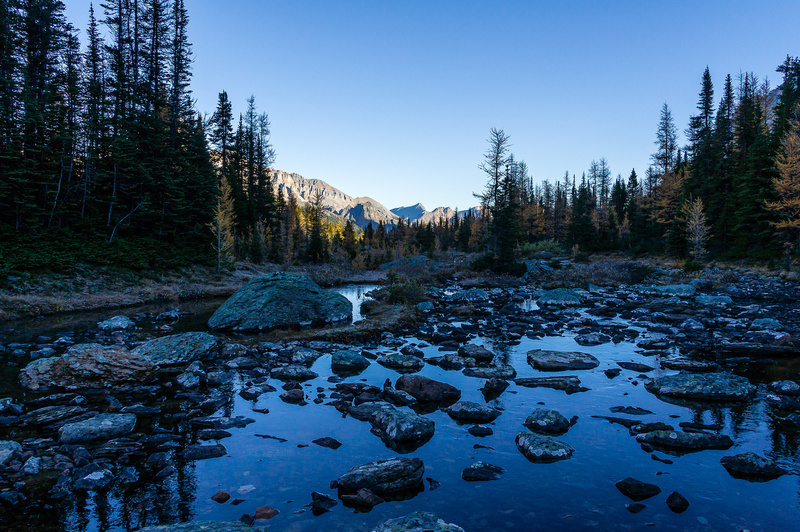 I arrived at Schaffer Lake quite quickly and found myself looking at a third scrambling option for Mount Schaffer! The west slopes right above the lake looked like an easy way to gain a col and then a nice ridge all the way to the summit. 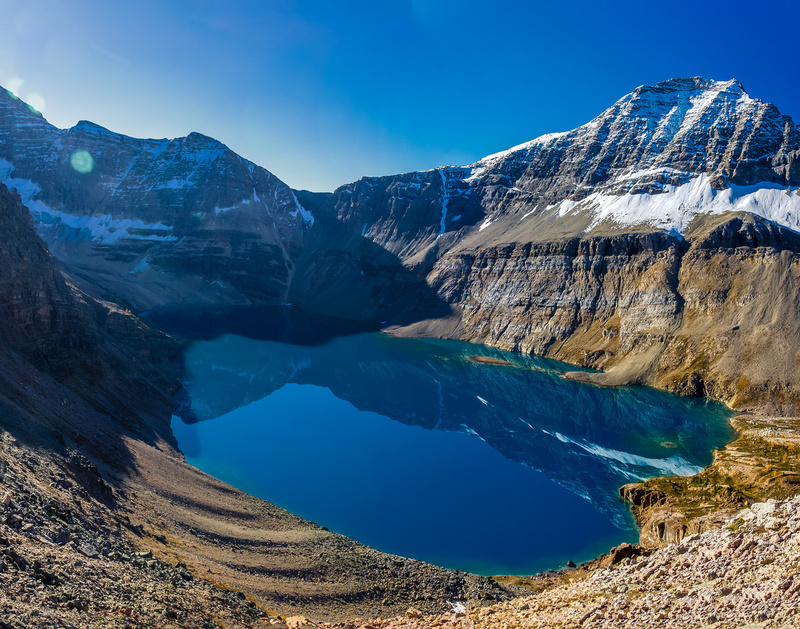 I decided to hike up towards Lake McArthur until it made sense to traverse into the ‘Schaffer Bowl’ (as I later learned that’s what it’s called) and up to the col and ridge. 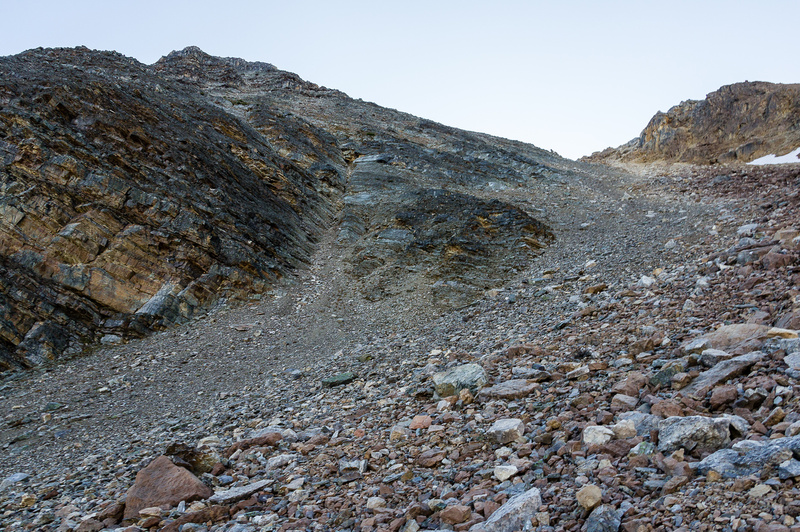 From Schaffer Lake’s west shore I spot my third scrambling option to the summit – directly up west slopes to the col. 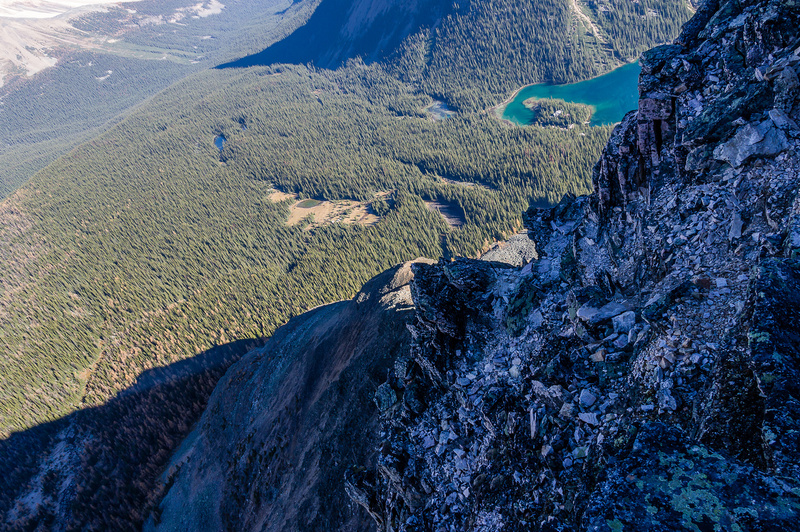 Looking directly down the climbing / scramble route on the north ridge – the Elizabeth Parker Hut clearing at center. My plan worked perfectly. 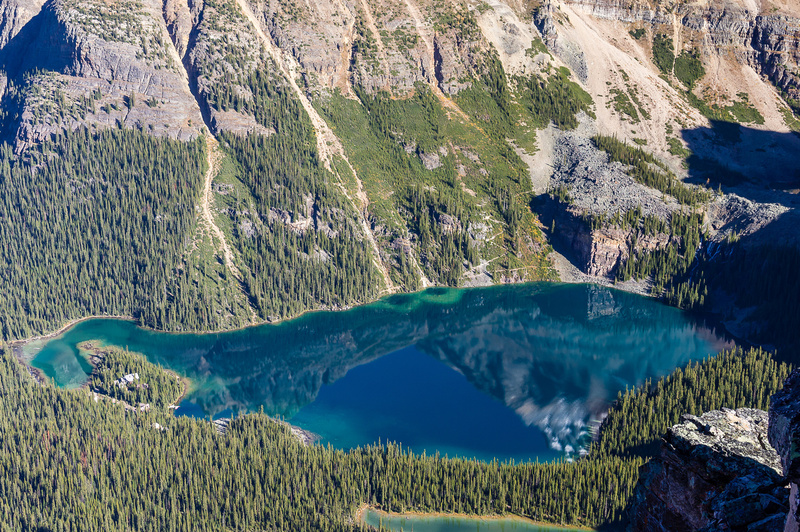 Soon I was staring down at the tranquil colors of Lake McArthur, sparking blue and clear below me with a nice ridge arching to the summit above. 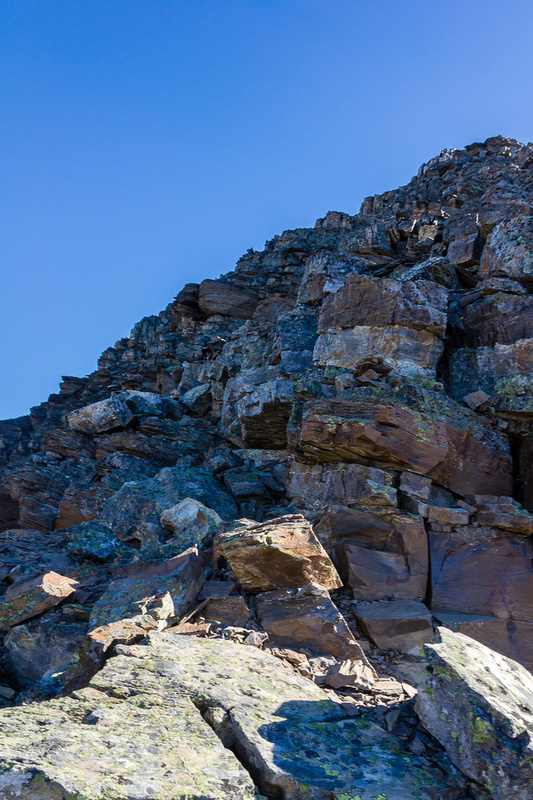 While I was only on intermittent trails in the Schaffer Bowl, from the col to the summit I was on a very obvious trail marked with cairns. McArthur Lake is stunning in the early morning lighting. 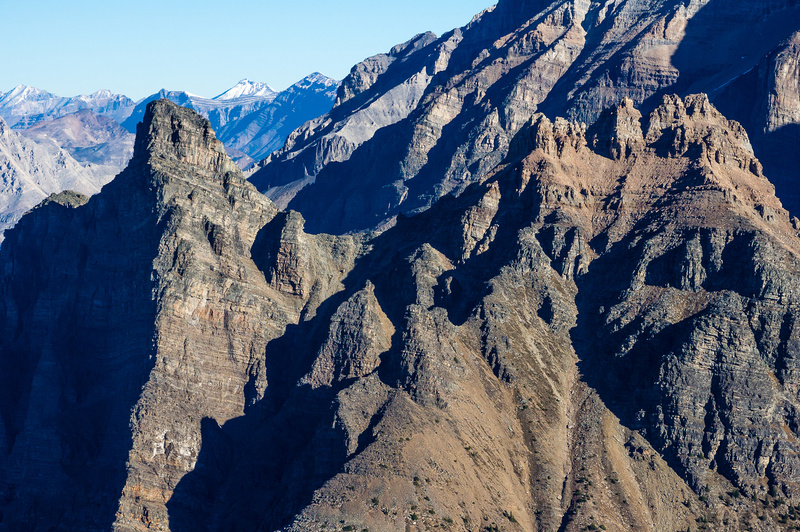 Park and Owen are very attractive mountains. From L to R, Biddle, Park, Owen, Duchesnay, Odaray, Stephen and Cathedral. 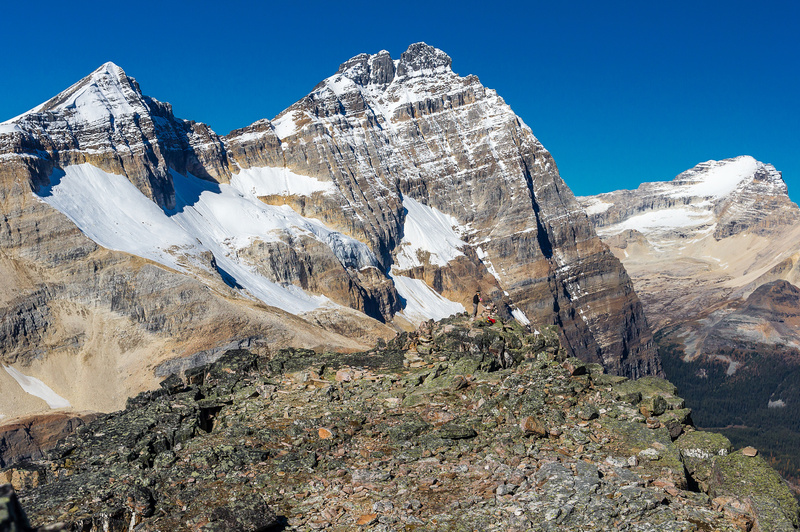 It didn’t take long before I was on the summit of Mount Schaffer with the amazing environs of Lake O’Hara staring back at me from all directions. 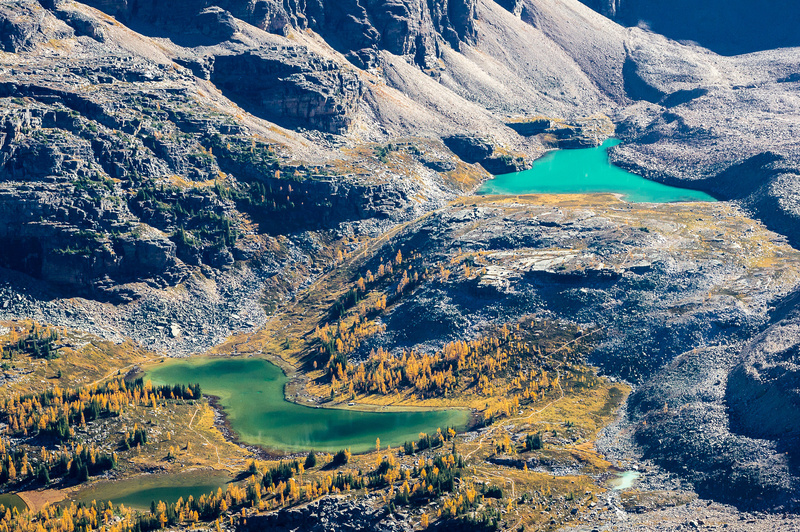 Nature’s incredible color scheme in the waters of Hungabee Lake (L) and Opabin Lake (R). 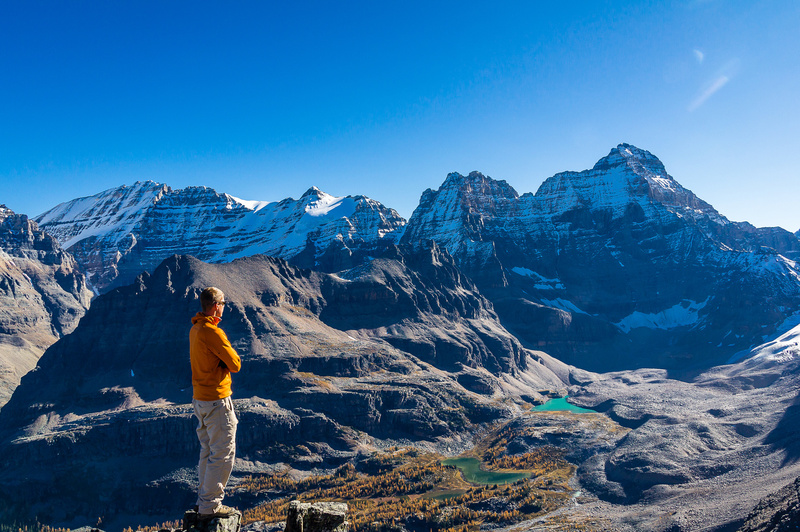 Incredible views over the core Lake O’Hara area including (L to R), Odaray, Stephen, Cathedral, Wiwaxy, Victoria, Huber, Lefroy, Glacier, Yukness, Ringrose, Hungabee and Biddle just out of sight at right. Try counting all the lakes visible! Vern takes in the incredible view of Park Mountain over MacArthur Lake. I would finally ascend that peak in 2016. I spent over 1.5 hours at the summit, taking photos and lounging around eating my lunch. I met Caroline at the summit and a guy on the way up to the summit and we talked about the various routes. 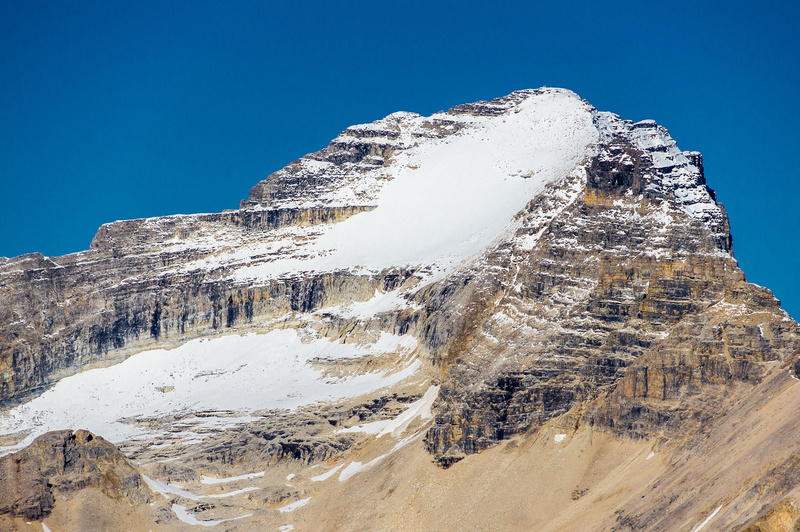 Both of them worked at the Lake O’Hara lodge and both came up the north ridge route and descended my ascent route through Schaffer Bowl. Next time that’s the route I’ll take (if the north ridge is dry). View of Walter Feuz Peak (Little Odaray) and Mount Odaray including Schaffer Lake far below. 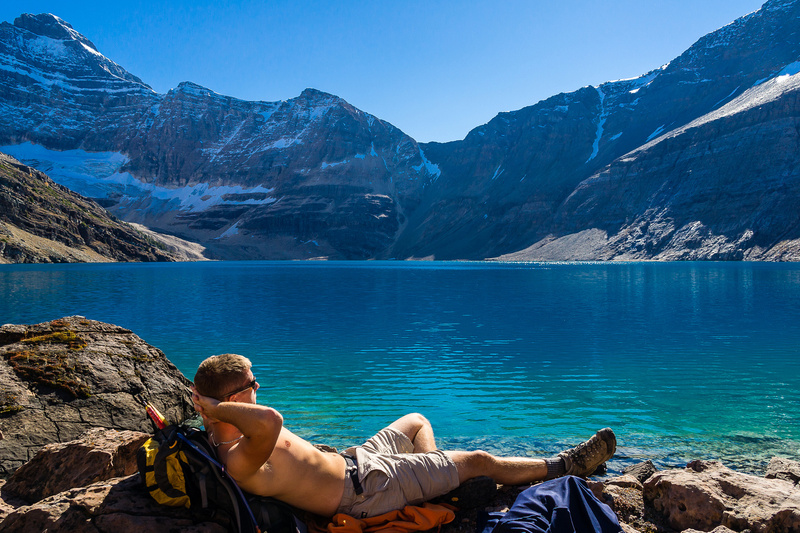 For descent, I chose to go down scree slopes to Lake McArthur where I spent some time exploring the lake shore and relaxing for another hour in the warm sunshine before resuming my hike of All Souls Prospect. 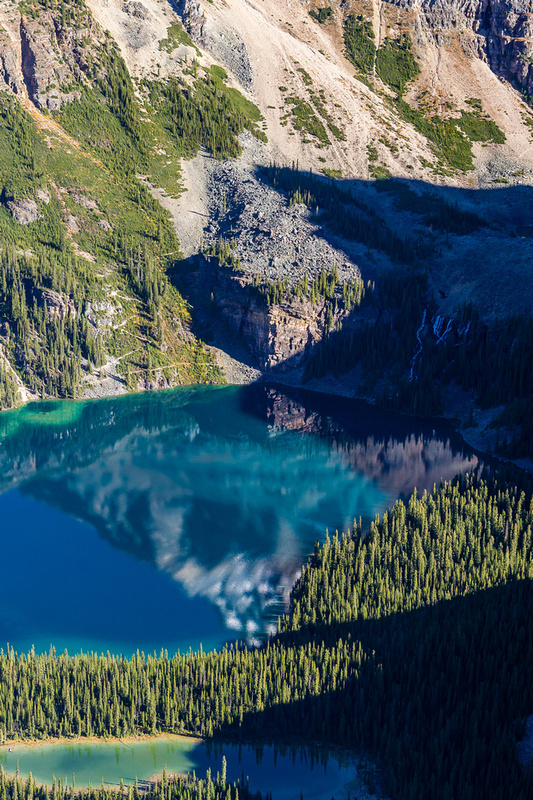 McArthur Lake is stunning in the late summer sun. Mount Schaffer at left with Biddle left of center and Park Mountain at right. Hiking back to Schaffer Lake via the highline trail from McArthur Lake. Owen on the left and Odaray on the right. Crossing a stream just before Schaffer Lake. Looking north from the ascent slope at Odaray, Cathedral and Wiwaxy Peak (L to R) with Schaffer Lake at bottom. Looking up at the easy scrambling terrain. Great views of Odaray and Cathedral. 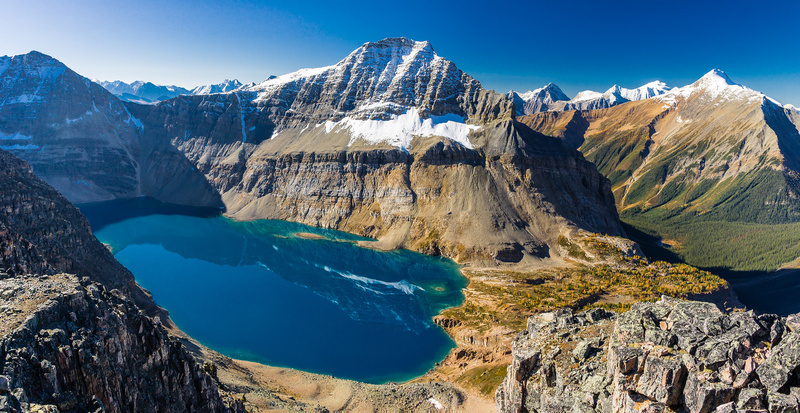 Stunning views of McArthur Lake with Park Mountain in the bg. 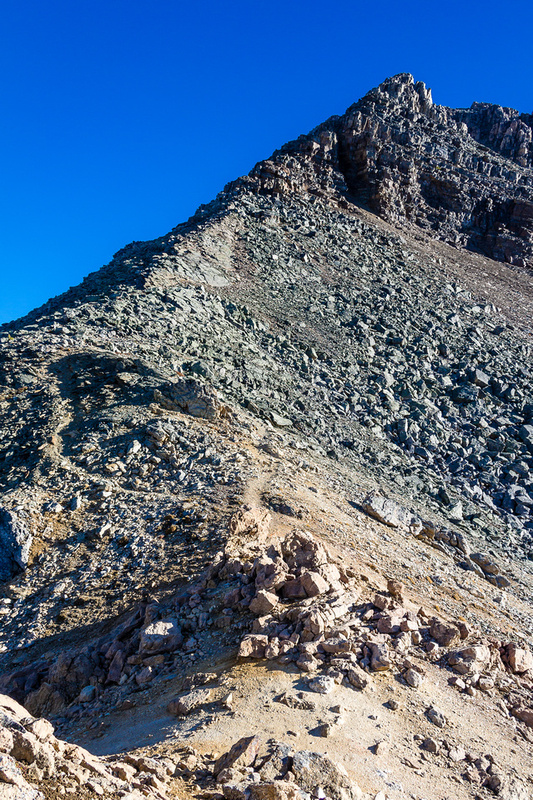 The ridge route to the summit of Schaffer - there's a great trail all the way up! 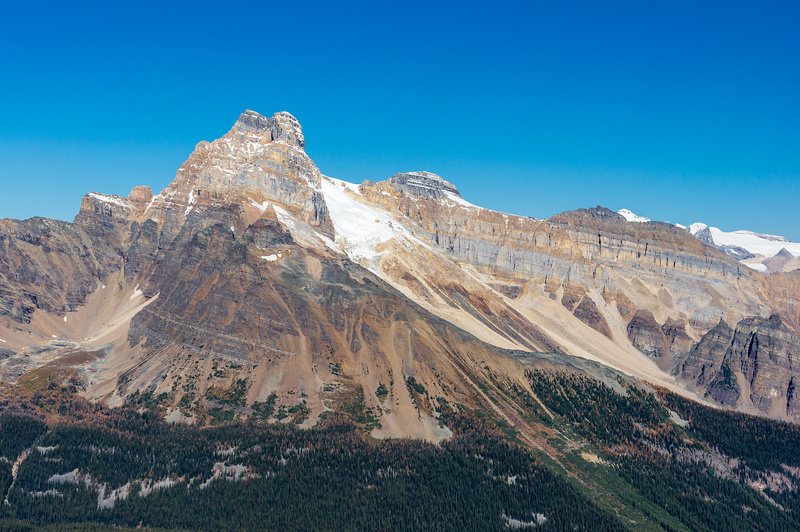 Incredible views of Park Mountain and the McArthur Lake area. More of the quartzite ridge with beautiful Cathedral (C) and Stephen (L) in the bg. Looking directly down the climbing / scramble route on the north ridge - the EP Hut clearing at center. 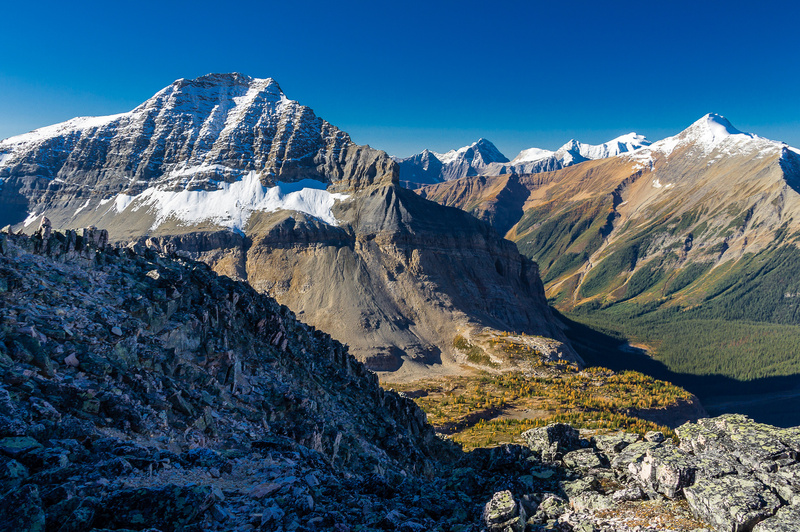 Nearing the summit now, Park on the left and gorgeous Mount Owen on the right. 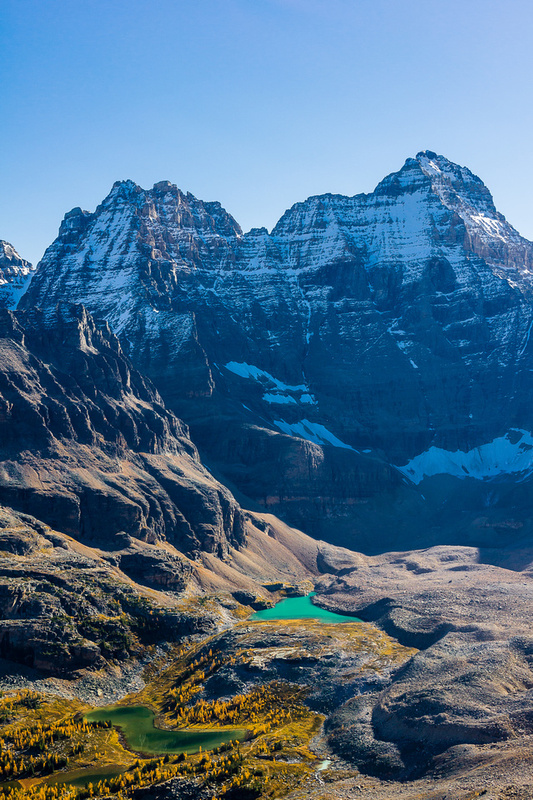 Stunning views of Lake O'Hara and Wiwaxy Peaks with Cathedral on the left and Victoria - North Summit on the right. Ringrose (L) and Hungabee (R) loom over Hungabee Lake (L) and Opabin Lake (R). 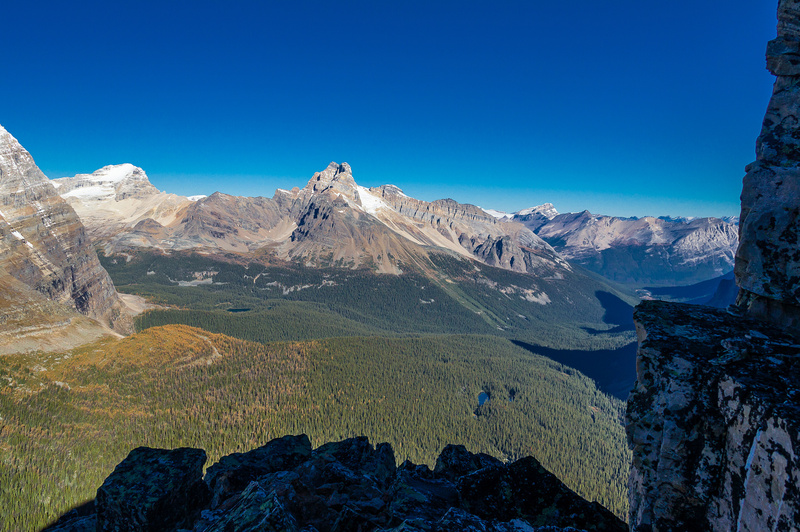 Looking through Opabin Pass towards Deltaform and Tuzo in the Valley of Ten Peaks. 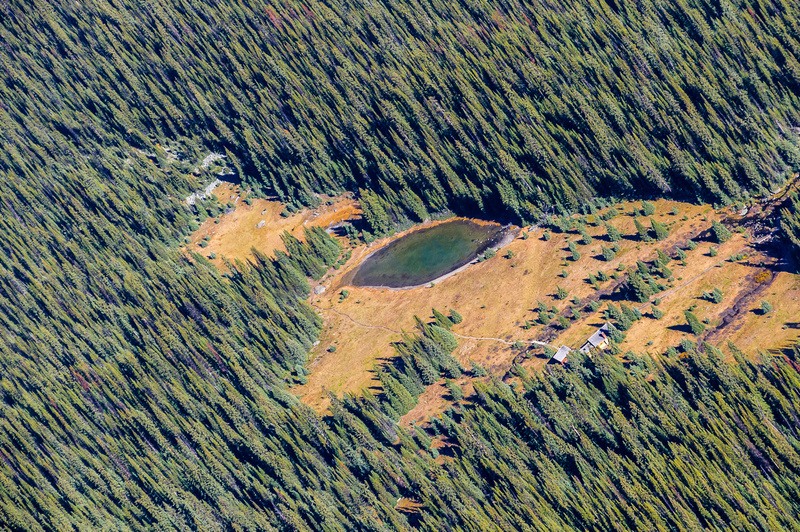 Hungabee towers over Opabin Lake. 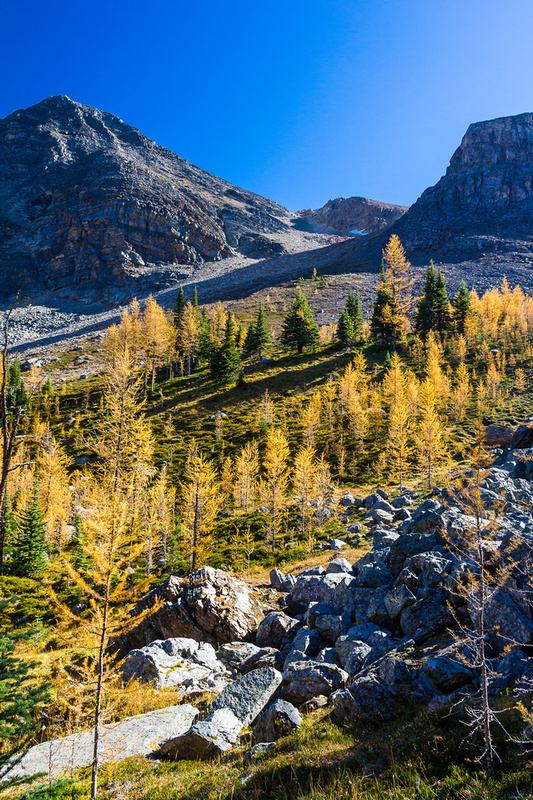 Yukness is still a favorite scramble, rising above Moor Lakes which are clothed in colorful larches at this time of year. 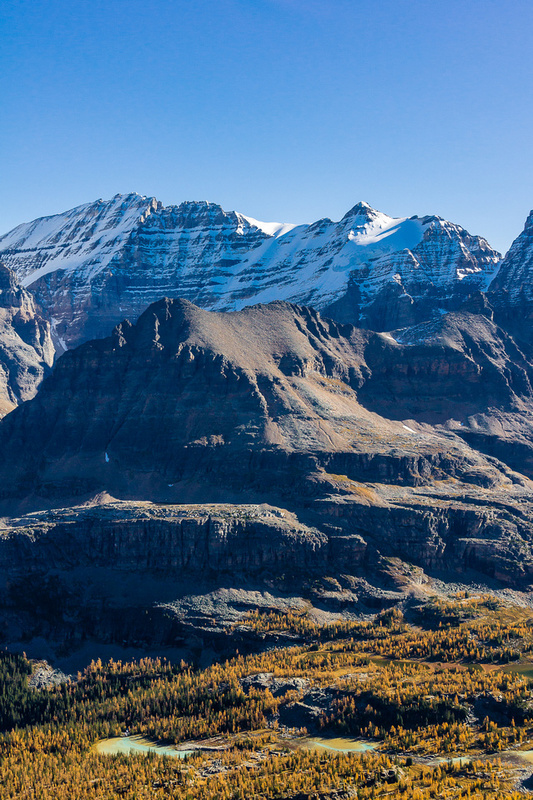 The twin West and East (R) summits of Wiwaxy Peaks are identical in height. The Huber Ledges exit to the Wiwaxy col. I fell in love with Cathedral on this trip and climbed it with So Nakagawa a year later in August 2011. Vern drinks in the incredible views from the summit of Mount Schaffer. 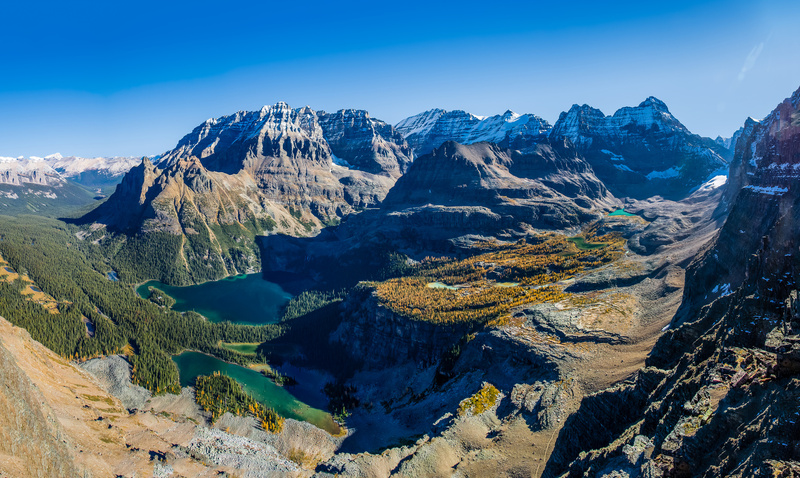 Wiwaxy, Victoria, Huber, Lefroy, Yukness, Ringrose, Hungabee and lakes (L to R), Mary Lake, Lake O'Hara, Moor Lakes, Hungabee Lake and Opabin Lake. 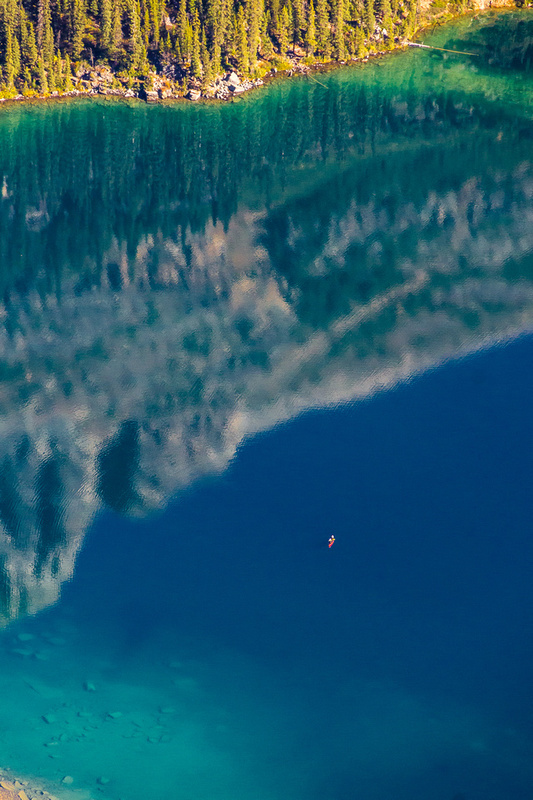 A kayaker on Lake O'Hara. Elizabeth Parker hut with a small local tarn. 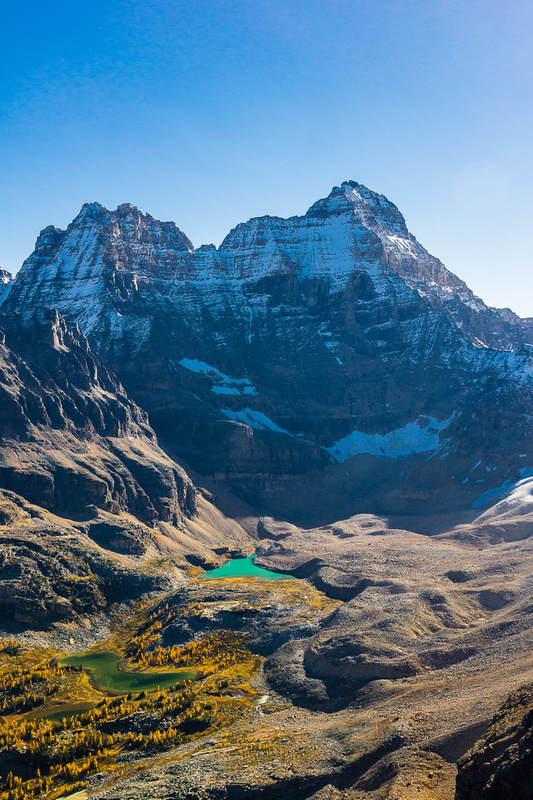 Lake O'Hara with 7 veil falls coming into the end of the lake from above. 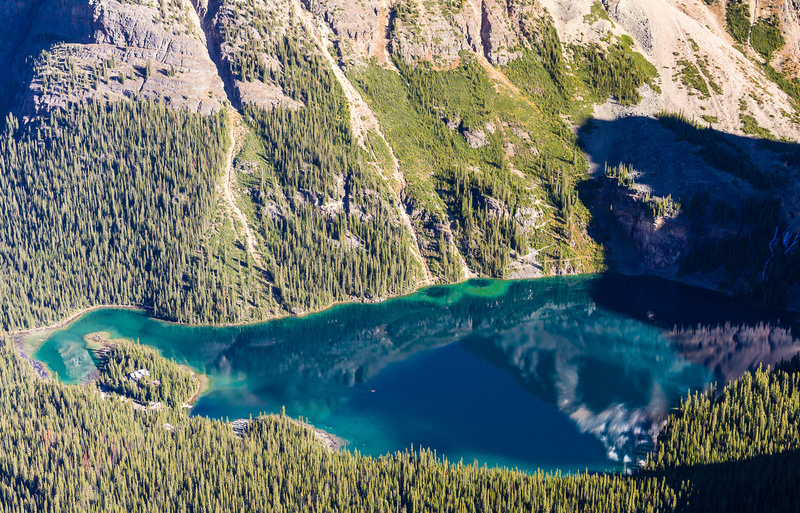 Nature's incredible color scheme in the waters of Hungabee Lake (L) and Opabin Lake (R). 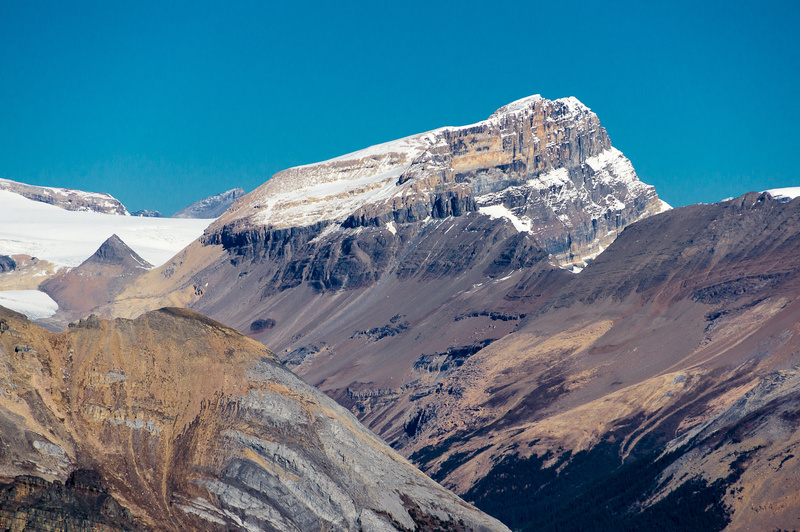 Lefroy and Glacier loom over Yukness. 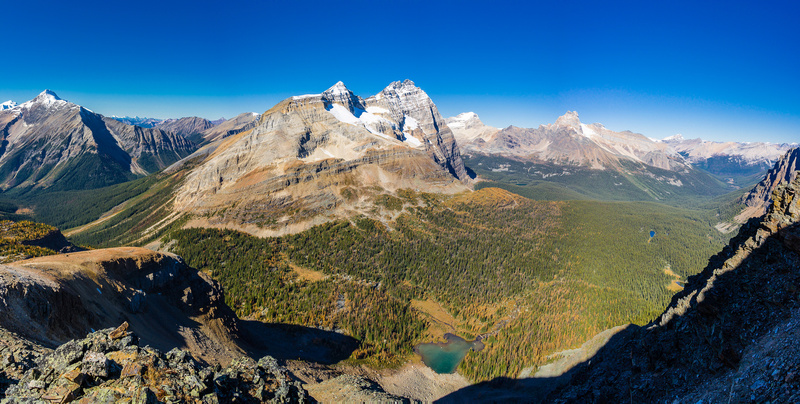 Another wide panorama of the Lake O'hara region. 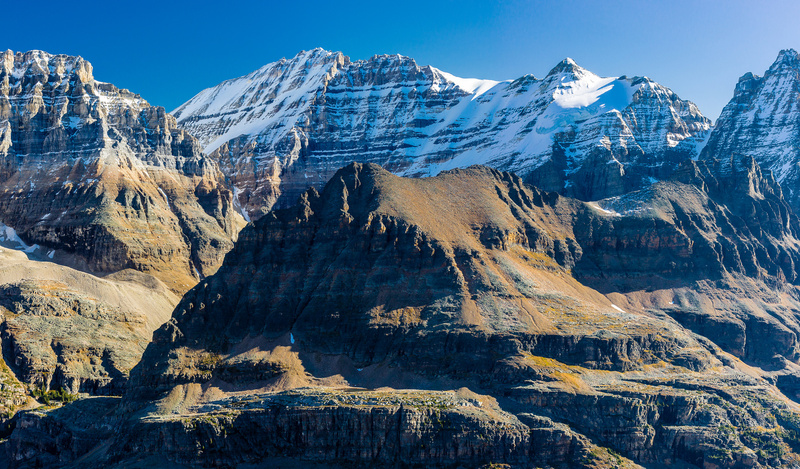 Mountains in the Van Horne Range. 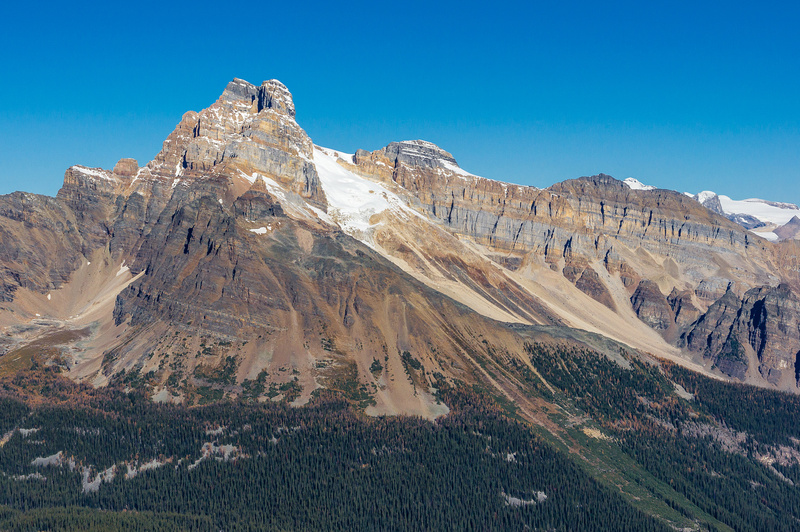 From L to R, Little Odaray, Odaray and Mount Stephen. The west face of Lefroy. 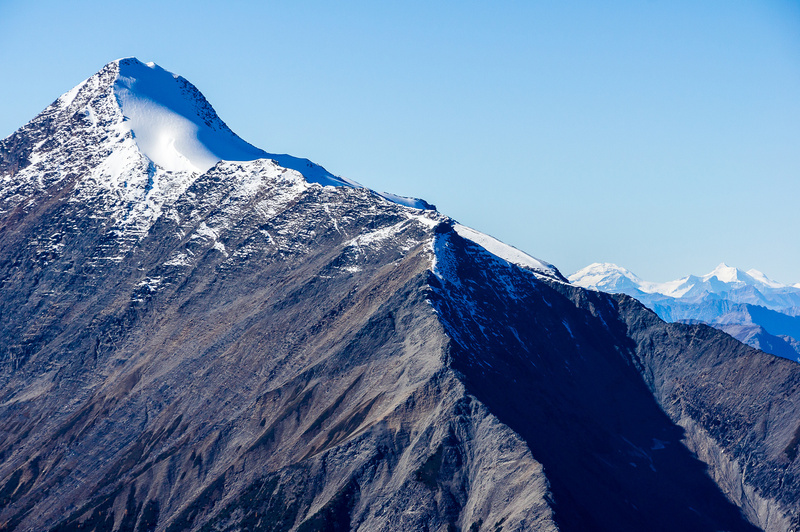 Gorgeous colors and lines on Mount Daly. View of Odaray including Schaffer Lake far below. Looking back up the easy west ridge on Schaffer. Descending easy scree slopes down to McArthur Lake. Figures around McArthur Lake shoreline. 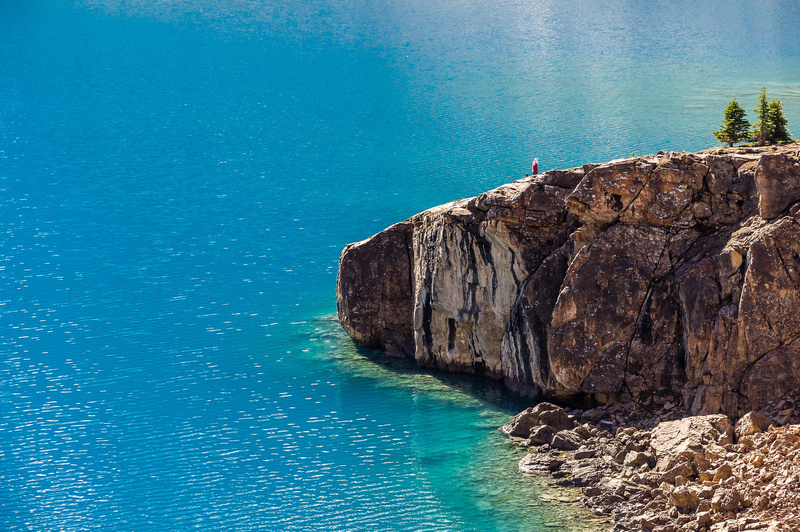 McArthur Lake is a great place to spend some time by yourself, meditating or sleeping or both. 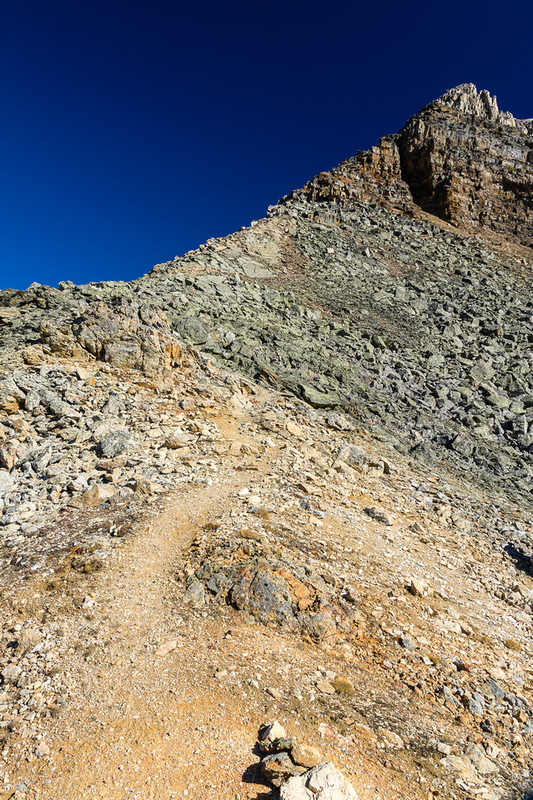 The trail from McArthur Lake to McArthur Pass is excellent. 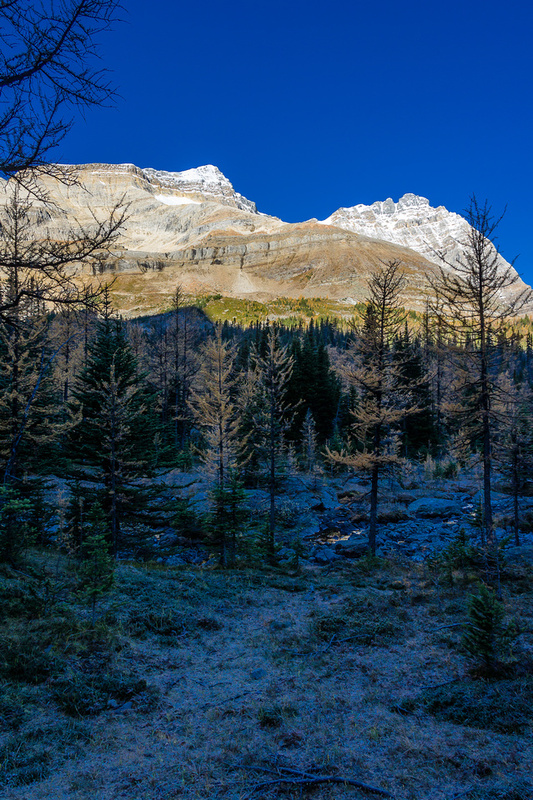 Looking back at Mount Owen from the McArthur Lake trail. 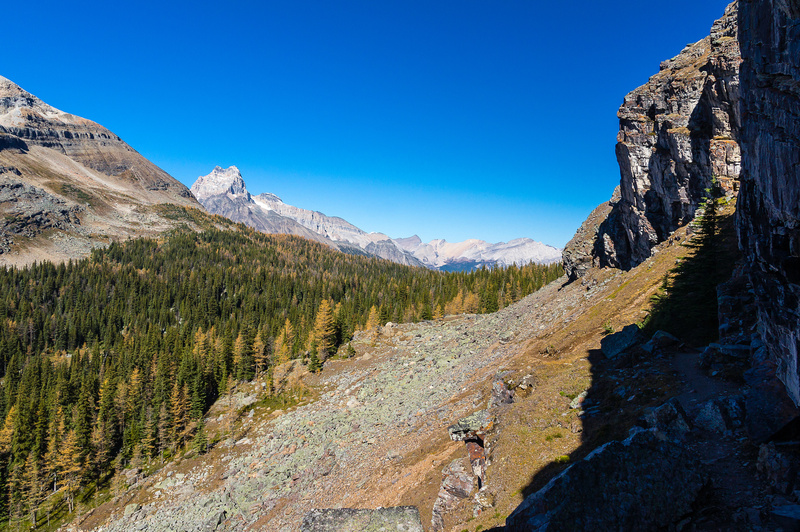 Looking along a neat section of trail that bypassed cliffs on the right, towards McArthur Pass and Cathedral Mountain. Back near Schaffer Lake, looking up at the easy scramble route that I used to ascend Schaffer.